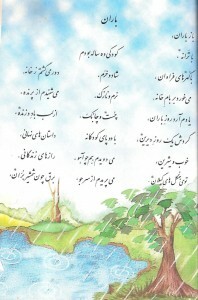 در جلسۀ مورّخ 11 آگوست 2004 یونسکو، نوشتن نوروز به صورت Nowruz به اتّفاق آراء مورد تصویب نمایندگان “کشورهای برگزارکنندۀ نوروز” شامل ایران، آذربایجان، ازبکستان، افغانستان، پاکستان، تاجیکستان، ترکیه، قزاقستان، قرقیزستان و هندوستان قرار گرفت و از آن پس یونسکو این شیوۀ نگارش را در ارتباطات جهانی خود معمول نموده است. این کشورها با وجود شیوه های مختلف تلفّظ، به شیوۀ نگارش Nowruz رأی داده اند. زنده یاد دکتر محمد مقدم، استاد برجستۀ زبان شناس دانشگاه تهران، در سال 1938 (قبل از جنگ جهانی دوم) در رسالۀ دکترای خود زیر عنوان “ریشه های هند و اروپایی جشن های سال نو ایرانی” برای دانشگاهPrincetonآمریکا، نوروز را به صورت Nowruz نوشته است. دانشگاه های کمبریج و اکسفورد و بنیاد میراث ایران و بسیاری از بنیادها و مراکز ایران شناسی و نیز کانون ها و انجمن های ایرانی در خارج از ایران این شیوۀ نگارش را اتّخاذ نموده اند. Here is a poem by the famous Kurdish poet, Abdulla Pashew that lambastes official narratives for ignoring the Kurds. The poem was written right before U.S. secretary of state Henry Kissinger sold out the Kurds to forge a deal between Iran and Iraq in March 1975. Thousands of Kurds were massacred as the result. 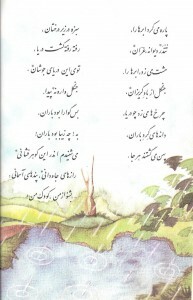 له‌ژێر به‌فری ده‌م و لێوما سه‌ر ده‌ردێنێ. 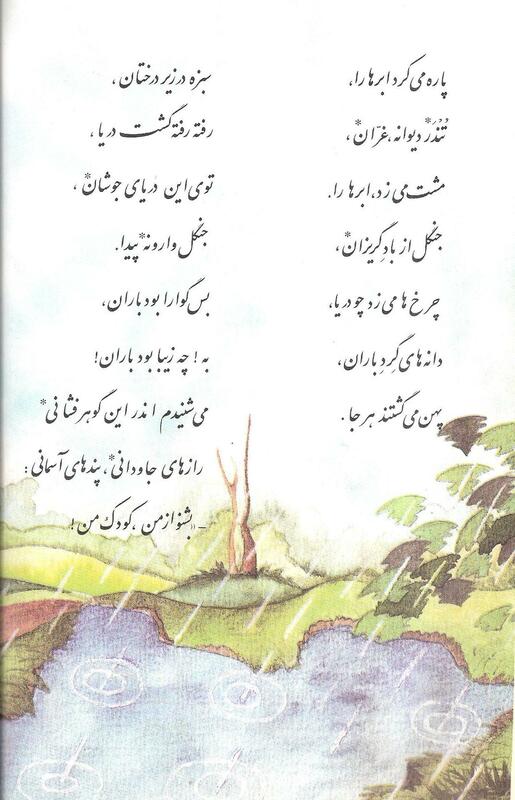 كاتێ پێی خۆم نایه‌ دنیا. You got me wasted into confessions, is this what friends do? From the start, however, the epic has also repeatedly served as a political tool. When Firdausi was penning his verses in 1007-10, Muslim Arab dynasties had ruled Persia for more than 31/2 centuries. Yet he avoided using Arabic words almost entirely and incorporated no elements of Islamic thought. His motive? To stir national pride and resistance to foreign rule by celebrating Persian culture. 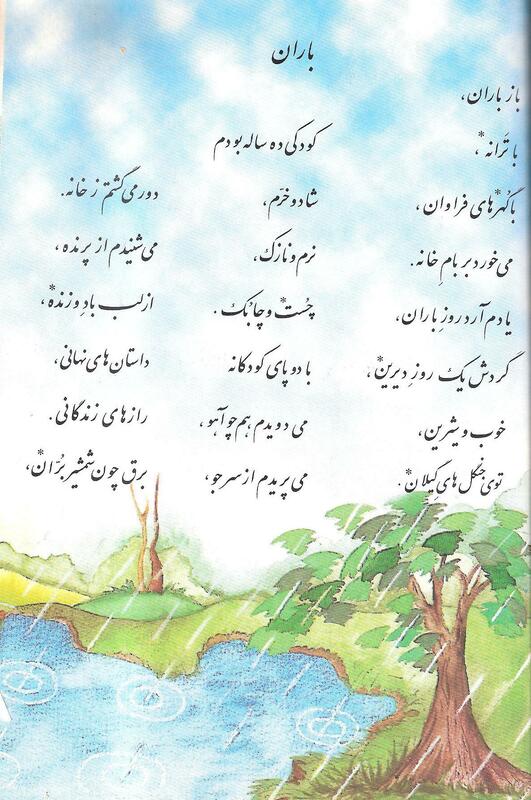 It is true that there are not as many Arabic words in Shahnameh as there are in poems of Hafez or Rumi. But it’s false to claim there were no use of Arabic words in the Shahnameh. According to the most comprehensive study of this subject by Mohammad Djafar Moïnfar, Shahnameh “contains 706 words of Arabic origin, occurring a total of 8,938 times, which yields 8.8 percent of Arabic in the vocabulary (i.e., individual tokens), and a frequency of occurrence of 2.4 percent.” See ŠĀH-NĀMA v. ARABIC WORDS, Encyclopedia Iranica, available at: http://www.iranicaonline.org/articles/sah-nama-v-arabic-words. This is a must watch video to all my friends who still admire the Pahlavi regime. When he is asked about the equality between men and women, the Shah awkwardly calls intelligent women an “exception” to the rule. He refuses to answer whether if he thinks that his wife could govern the country as good as a man would. And this is the same “King of the Kings” that would jump on a plane and flee for Europe each time there was an unrest in the streets. Sure, there were some women that served in leadership role during his throne (ex. Shirin Ebadi and Farrokhroo Parsa). But I doubt if he had any more women in leadership roles than Rouhani currently has. Encouraging women to dress in Western attire doesn’t necessary mean that you believe in equality between the genders. Vance Painter on Al-Khwārizmī – Arab or Persian? mhsk on Petition to investigate crimes committed by Ali Khamenei, and to issue a warrant for his arrest. Tariq on Al-Khwārizmī – Arab or Persian?